With the new year comes hopes of organization. I'm with you, it's a fresh start and organization can be the best way to implement that. I would consider myself to be a pretty organized person but everyone has their owns way of staying on top of things and making sure things are in order. I always love reading other bloggers organizational tips so I wanted to share mine with y'all as well as some of my favorite planners. I know some prefer to use phones and computers to stay on top of things but for me, writing things down is the key to my success. So with that being said, lets start with how I keep track of my crazy busy schedule. This is the number one key to your success. 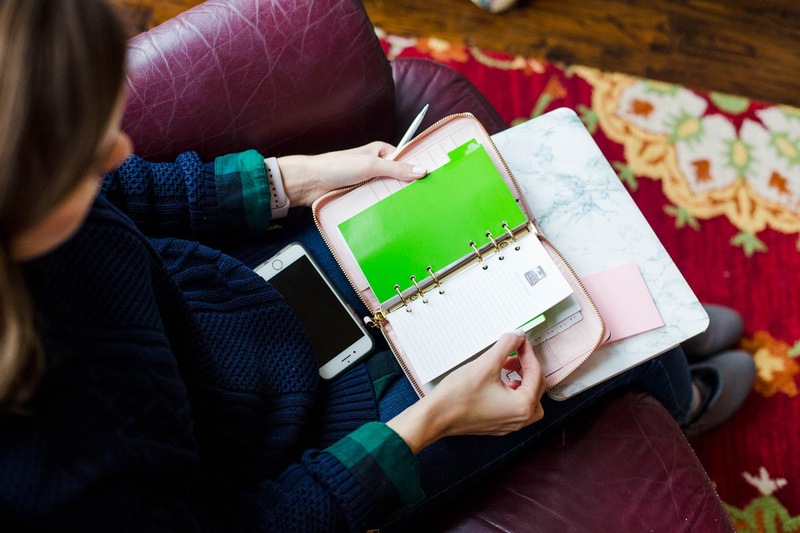 There are so many different planners to choose from but find one that fits your life and your style because if you aren't happy with it, you won't use it. I've found some great ones for you that are very affordable. I've realized that I don't need a $60 planner to be able to work my life out. 😉 Erin Condren is great BUT I don't like the spiral and it's decked out and other great planners do the exact same thing. So all the planners below are $40 and under. Hopefully you find something you like. This is key. If you think you'll remember you wont. I promise. I always have to write everything down. 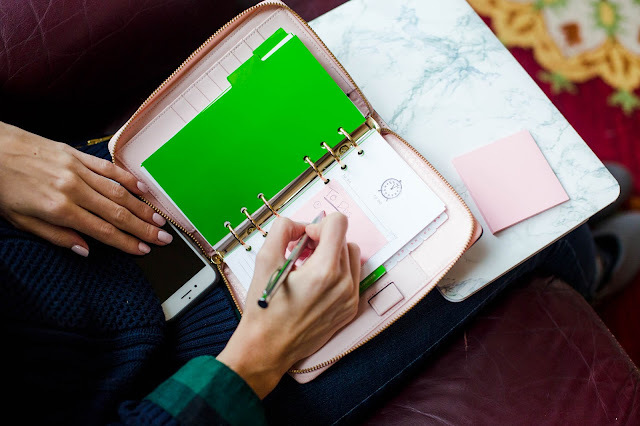 Whether it's a list for the day or writing dates down so you don't forget, use sticky notes on the day with your To Dos and then use the block on the planner for events or meetings you have going on. I've started using sticky notes recently and it works really well. You can easily pull it off so your planner isn't overwhelming. This is something I haven't done but have heard all positive things about. Being a student this is especially nice since I have so many classes. But this helps with deadlines. You're able to recognize instantly what's due without have to take up space and write down the meeting or event. It's so easy while I'm working to pick up my phone and head over to Instagram or Facebook and before I know it, I've wasted 30 minutes of my time. Are you with me? Recently I've decided '30 minute power hours' are an extremely productive use of time. I dedicate a block of time to write emails, write a blog post, knock out a class test review, or complete an assignment. When I do this, I usually knock out the entire task because I'm not distracted or thinking of other things. I use this feature to keep track of utility bills and credit card payments. That way every time I get on my computer I'm reminded that I need to pay it and it's never late. Although I don't utilize the computer calendar this feature is so nice and helps me stay on top of bills. Hopefully these tips were helpful and help you implement organization in 2017!